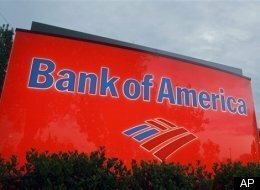 Bank of America, the nation’s largest lender and its biggest bank by assets, now supports changing the law to give federal judges the power to modify mortgages in bankruptcy. The bank joins Citigroup, the nation’s third-largest bank by assets, in supporting a change to existing law to give homeowners more leverage. Unlike other forms of debt, bankruptcy judges presently lack the power to change mortgage terms. The banking and home mortgage industry want to keep it that way — by not allowing judges the authority to change the terms, troubled homeowners are at the mercy of their lenders. They take what they get. But Tuesday, before a nearly-empty Congressional hearing room, Barbara J. Desoer, president of Bank of America Home Loans, said her bank now supports leveling that playing field. “As we’ve gone through the lessons that we’ve learned with modifications and other programs, there probably is some segment of borrowers for whom that would be an appropriate alternative,” Desoer said before the House Financial Services Committee. “So you would support that in some circumstances?” asked Rep. Brad Miller (D-N.C.) in a follow-up to his original question. “In some circumstances, yeah,” BAC’s Desoer responded. Reducing a borrower’s principal balance is appropriate in limited circumstances and will likely be done more often over the next year, executives from Bank of America, Citigroup, Wells Fargo and J.P. Morgan Chase told the House Financial Services Committee. But widespread use of that type of mortgage relief would raise questions of fairness and could encourage borrowers who are not in financial distress to default to take advantage of such programs, they said.